Great educational post, Rayya. 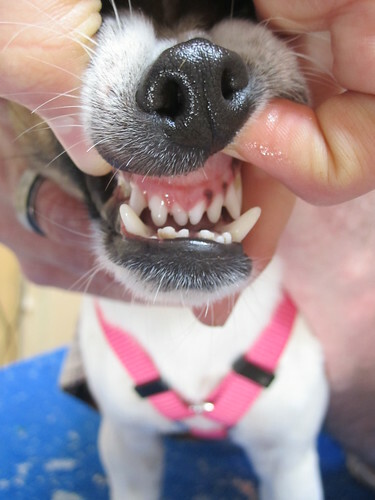 I have to admit that I am one of those vets who sometimes would prefer not to do a dental with general anesthesia on an older animal, so I will often refer them out to more practiced dental specialists. I hope by the end of my dental posts, you will join my campaign for pet dentals and feel more confident at tackling them yourself. I know my own bosses have completely join my club. Thank you. You are absolutely right and thanks for highlighting the importance of raw bones and meat as a dietary management for periodontal disease even in cats. As my boss always says, a cat can devour an entire rabbit, it can definitely tackle a chicken wing. The trick is introducing that diet to them when they are very young otherwise they may reject it. Thank you for the very insightful post! I was just starting to be concerned of my one yr old cockerpoo’s dental hygiene. 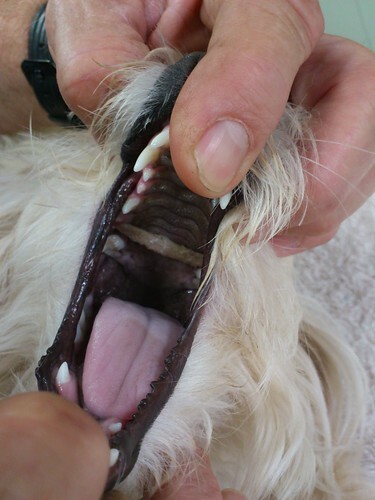 How often should we brush our dog’s teeth, is it the full works (ie. 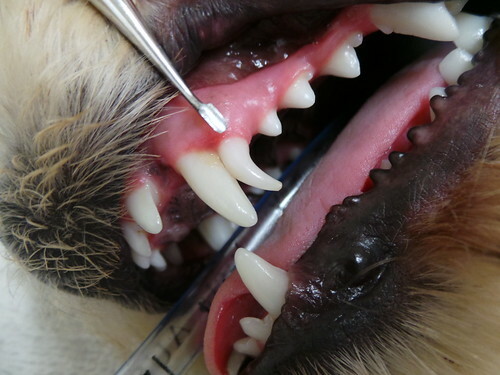 toothpaste & toothbrush) & how often should their teeth be checked at the vet’s? Is giving them real pressed bone to chew and bite helping in plague control at all? 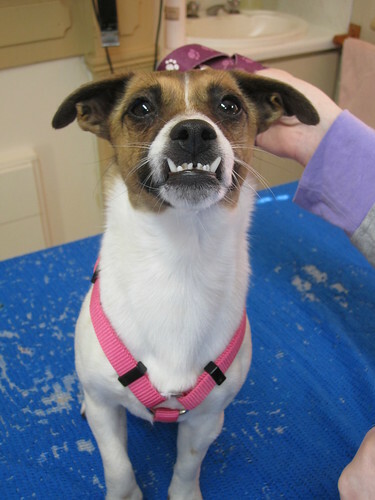 There are special dental products that you can use to brush your pet’s teeth like flavoured and pet safe tooth paste. 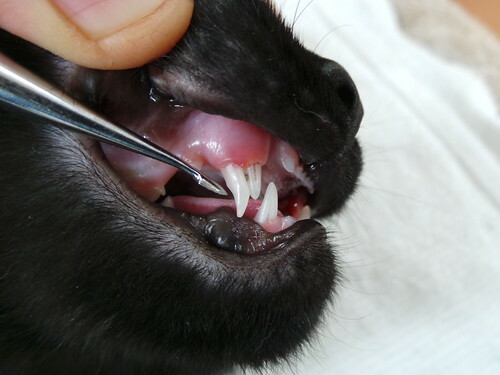 I will definitely include the appropriate method to brush your pet’s teeth in my next post plus my detailed description of dietary recommendations. With regards to dental chews, I’m not a fan of raw hide. I prefer raw bones. Otherwise shark cartilage or dentastix are worth a go. You should definitely take your little critter for a vet check. Please keep up the great work and tune in to my next dental post. Thanks for your excellent advice, Rayya! Thank you RAYYA that was very informative . Boyd thanks for taking the time to read my post. Jasmine is just going in, probably for dental work in the morning. We kept her teeth in good shape with 2x daily brushing for two years. Then she was on steroids for her neck injury (Dec and Jan) and the mouth went down hill fast. Looks she might be having a bad tooth now. Yes, I somewhat worry about the anesthesia, though she’s been under many times. I also worry about the neck, the state it might be in. But what needs to get done, needs to get done. Fingers crossed all goes well for a change. I hope Jasmine recovers quickly from her general anaesthetic. I’m sure your vets will take extra care with ger given her history. Just make sure to reiterate that when you drop her off. Please let me know how she recovers. I’m sure you must have had my dog Poppy in mind when you wrote this post, Rayya! As I mentioned to you not too long ago, Poppy needs to have her teeth cleaned because she has plaque, but I’m reluctant to have it done as she is a geriatric girl now (14 years old). Having to put her under general anesthesia concerns me because of her age. This post is really good for me to read, because I feel more confident about having it done, and look forward to your next follow-up post on the same subject. This is building up to a really superb post. Suspect the photos are going to get a little real but that is exactly what must be done! Hope you’ll show signs of other disease in the body as teeth can be incredible harbingers of what is going on. So look forward to more on this subject. Thanks Animalcouriers. I promise to indulge you with many photographs. Make sure not to read the next few posts on a full stomach. I look froward to hearing your feedback on the future posts and feel free to ask me to write about any special topics. That is so interesting about the big cats. I actually never knew that. I was aware about dental disease killing hunting animals as a general thought but didn’t know they were super prone. Thanks for sharing that information and for your terrific feedback. I am late in reading this, but we have Thunder scheduled for a dental cleaning this week. He turned 7 in March, so it is time. His teeth look pretty good, but he has a bit of gum overgrowth that we want checked and the vet can clean under if necessary. We had blood work done a couple of weeks ago in preparation. 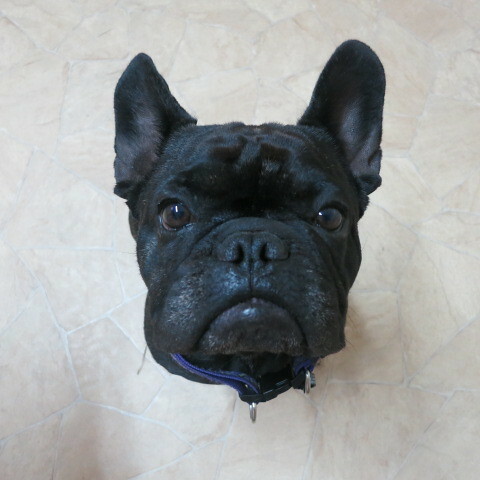 Our plan is to have a good cleaning now and then when he is neutered in a year or so, he can have a retouch. Then we will see after that. I hope Thunder’s dental procedure goes according to plan. He will be smiling more readily for sure :-). 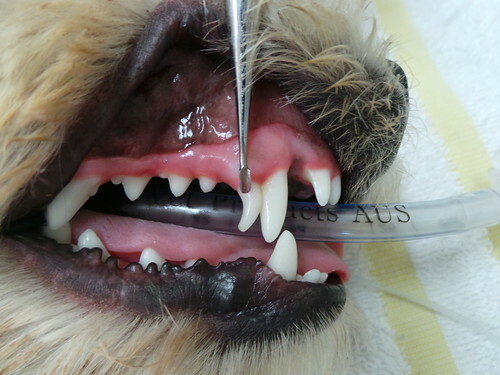 I think it is really good that you and your vets try to tackle your dogs’ teeth during routine procedures like castrations. Ruby is almost 16, toy/min 12 pound poodle. She has a murmur. She has kidney disease. I clean her teeth but not very well. She never lets me get the back ones. She just had her first kidney flush. Now last night I noticed a front tooth loose. I decided to really look at her back ones and they are horrible! My drs. always say they are afraid to put her under. (last time was about 5 years ago)…her breath is bad. She is on antibiotic shots every 2 weeks. I am terrified but I am afraid she is in pain. I can totally understand all your fears with regards to Ruby undergoing a general anesthetic to get her teeth cleaned. Given Ruby’s current kidney condition, she is definitely at higher risk of complications during an anaesthetic. However, your vets should be able to blood test her, put on her intravenous fluids 24 hours before the scheduled dental procedure and use the least depressive anaesthetic combination to ensure she has a smooth anaesthetic. 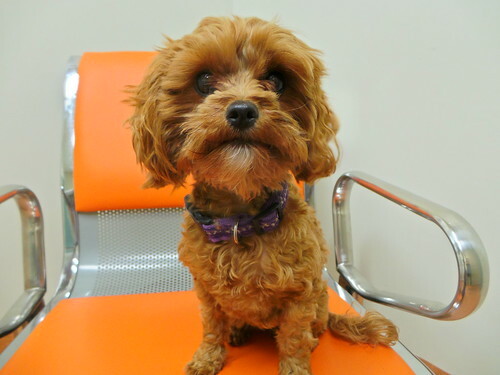 If they aren’t confident, you may want to seek a vet clinic that has high standards of vet care and are able to offer Ruby the best possible care. The tricky situation is her teeth are definitely causing her to have kidney issues. I am glad she is maintained on antibiotics to control the dental infection in her blood stream. I know how much you love your dog. It is important to be prepared for all the possibilities and to discuss all your concerns directly with the vet treating her. I honestly believe she will be much happier if her teeth are sorted. However, there is definitely a risk with every anesthetic especially with a patient with kidney disease. Best of luck and do let me know what you decide to do. Hi, I am almost afraid to write to you. I have a 17 yr old Shihtzu and his breath is horrendous, For the past year my vet has stated my dog will never survive a dental procedure. His exact words were ” its to late now” My dog has viable plaque buildup and multiple fractured teeth. He also has missing teeth which i think fell out. 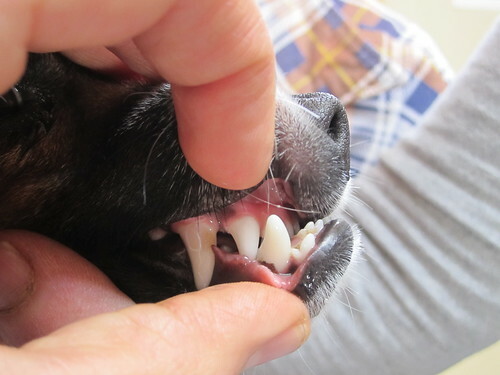 His gums are red & swollen with visible lumps and some bleeding. My vet tried to chip away some of the plaque only to make his gums bleed more. At this stage, I am not sure what to do. I asked if I should put him down and he said no. The vet said hes still active and seems happy. The main reason he wont treat his teeth is because of a sever heart murmur and kidney issues, What do you think I should do? thank you. Dear Lisa. I’m so sorry about the late reply. I’m glad you contacted me. There’s no reason to be afraid. I can totally understand your confusion especially since your own vet isn’t keen on addressing your little darlings teeth. Old school Vets have that school of thought, trepidation about anaesthetic risk. Your vet is right in that the risks are high especially since he had kidney and heart disease. However, the infected teeth may actually have been the cause of his heart and kidney disease, if they aren’t the primary cause, then the dental infection is bound to compound his other issues. 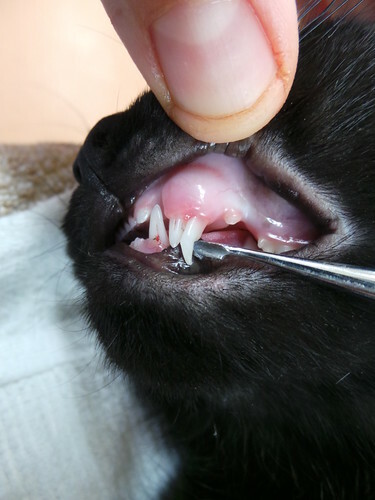 The minimum treatment he should be getting is a course of antibiotics every 4-6 weeks to stop the dental infection from seeping into his blood stream. Otherwise, I suggest you get another Vets opinion, one that’s confident with geriatric anaesthetics and able to perform the much needed dental. It’s important that you are aware of the risks of you go ahead with the dental procedure. I always warn my clients that their dog may not recover or may recover really well but then go downhill in a few weeks to months time and some may gain a few years from the procedure. You just really never know which way it’ll go. Goodluck and please let me know him your dear old friend gets on. are far worse than the grade 2 he had 2 years ago. He is 11 years old and 5 pounds. I’m worried sick,as he is also my service dog.